When you hear the word “networking,” does it make you shudder? You’re not alone – especially if you’re an introvert, like me, who finds networking uncomfortable. Or, perhaps you don’t see value in networking — you already have an existing network of contacts, or you have an effective marketing strategy in place for engaging new clients. Regardless of your reason, the fact remains that active, ongoing networking is simply a necessity in business and life. As the saying goes, it’s who you know; not what you know. The reach and quality of your network can have a huge impact on whether you’ll get that dream job [or not], and the potential success of your career/ business. So, how can you become better at networking and expanding your circle of contacts? Engage on social media. Start a discussion: post your own original content and seek feedback. Engage with other people’s posts by leaving comments. If you find a like-minded person, connect with them offline. For example, if you are traveling to another city, you could arrange to meet someone you have met online for a coffee. Tap into “six degrees of separation”. Write down a list of your current contacts, and then a list of people who they might know and could make an introduction for you. Or, use LinkedIn to do the same. It’s much easier to meet new people if someone can introduce you. This works especially well if you are looking to meet a new potential customer. Attend an event. Look for events that are both dietetic-related, and outside of dietetics. I regularly attend events outside of dietetics, to be exposed to new thinking and ideas. 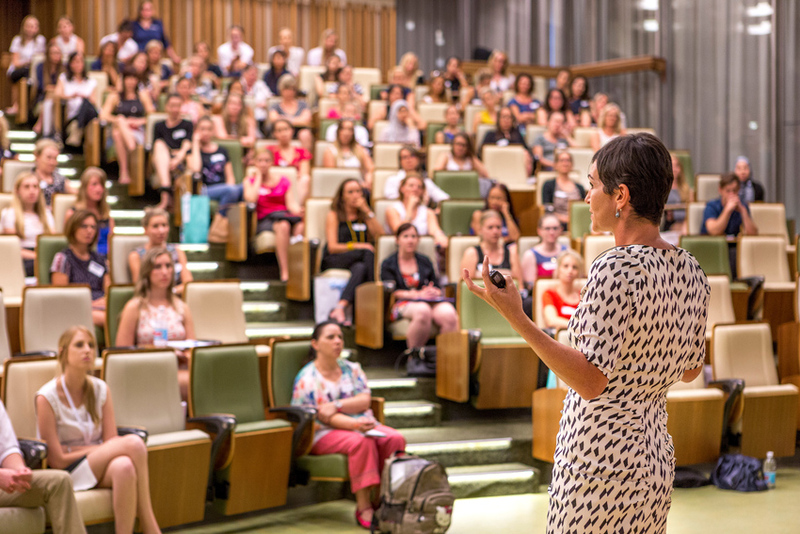 For example, I highly recommend Business Chicks events, if you would like to be inspired by some amazing women! If you are an introvert, make a small goal to introduce yourself to just one other person. Seek out a mentor/s. Choose and approach someone who has a large, relevant network that you will then be able to tap into. Join a professional or volunteer organisation. This will expand your network exponentially. Taking a committee role or being an active volunteer will allow you to meet lots of new people. Remember that what comes around, goes around. Keep the focus on how you can help other people in your network, not how they can help you. If you expect nothing in return, you’ll usually be pleasantly surprised by the good that will come back your way. Stay in touch. Try to schedule some time in your calendar to connect with people in your network. This could mean hopping online and commenting on others’ posts; forwarding a relevant article to a contact who would enjoy it; attending a networking event [gulp!] or simply catching up for coffee. You never know who you might meet, because of your network! For example: fellow dietitian Karen Inge and I were fortunate to meet Jamie Oliver recently at a Business Chicks event where he was speaking. Karen knew Amanda Coombs, General Manager, Commonwealth Bank VIC and TAS, and Amanda had a role in making the Business Chicks event possible, so was able to introduce us to Jamie himself. Read my entire account of this bucket list event. So…who would you like to meet? Where would you like to go? What action will you take today to grow and nurture your network? Time to get started! Click here to read more of Infuse: our new FREE digital magazine.